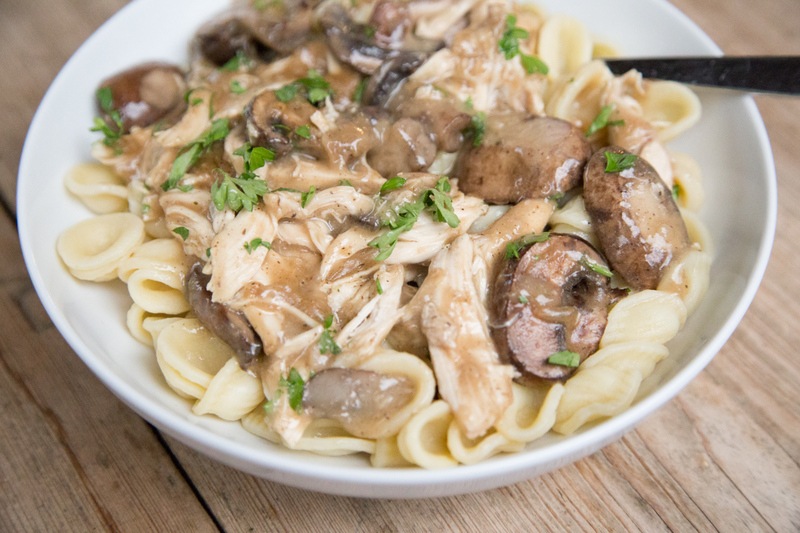 But it’s not just the flavor that I love…it’s that I can have this on the table in 20 minutes! 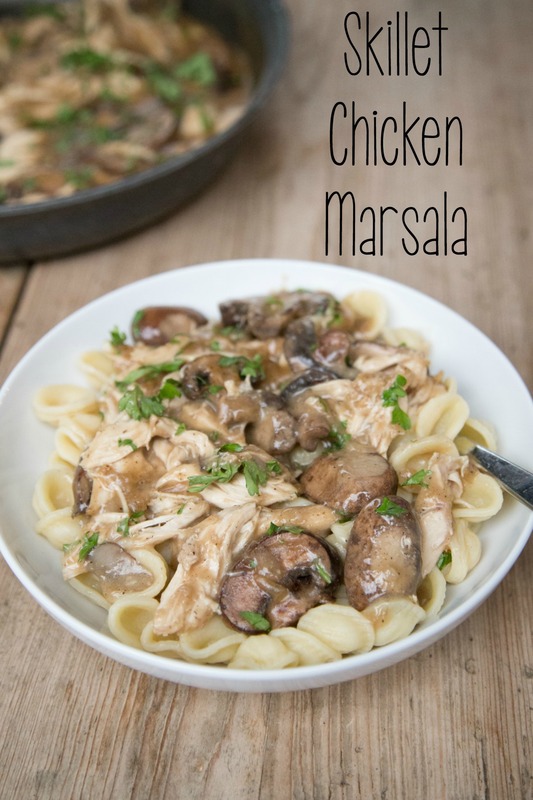 BECAUSE YOU DON’T HAVE TO COOK THE CHICKEN! 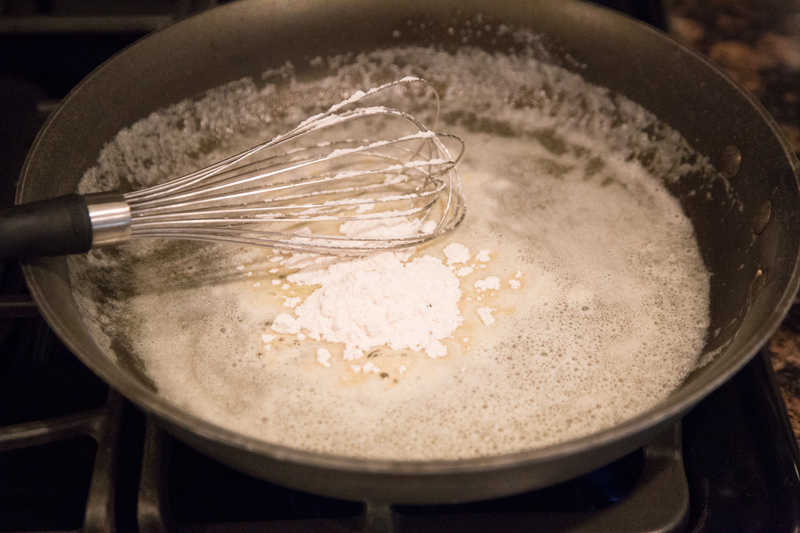 First off, start cooking the pasta. 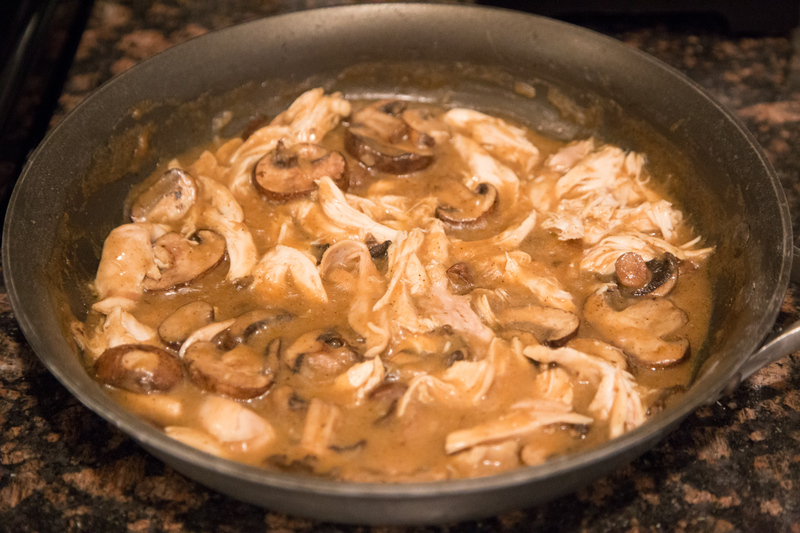 Then, while the pasta is cooking, you whip up the chicken marsala sauce and they both finish cooking about the same time and BOOM. Dinner is ready to serve! 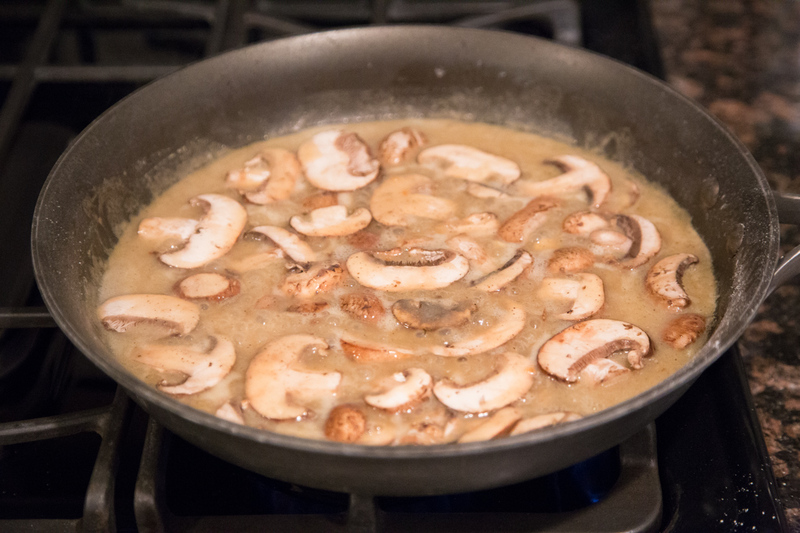 Pour in the marsala cooking wine. 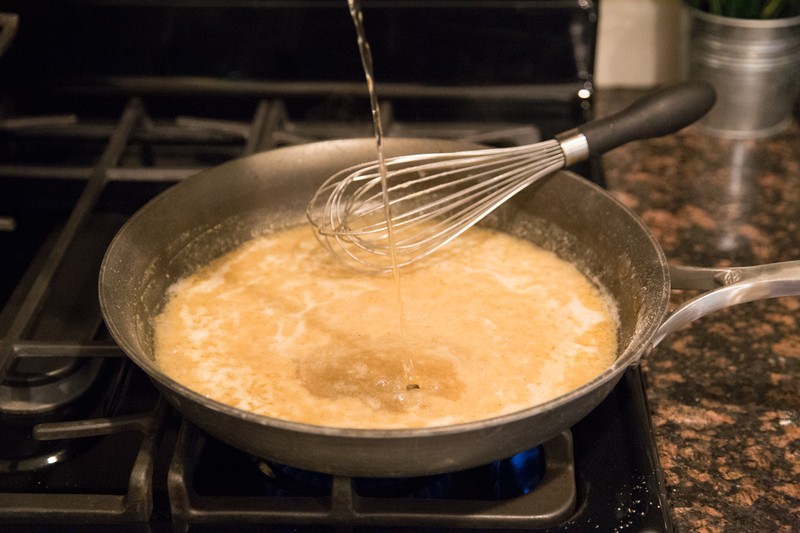 Whisk up and let the sauce thicken. 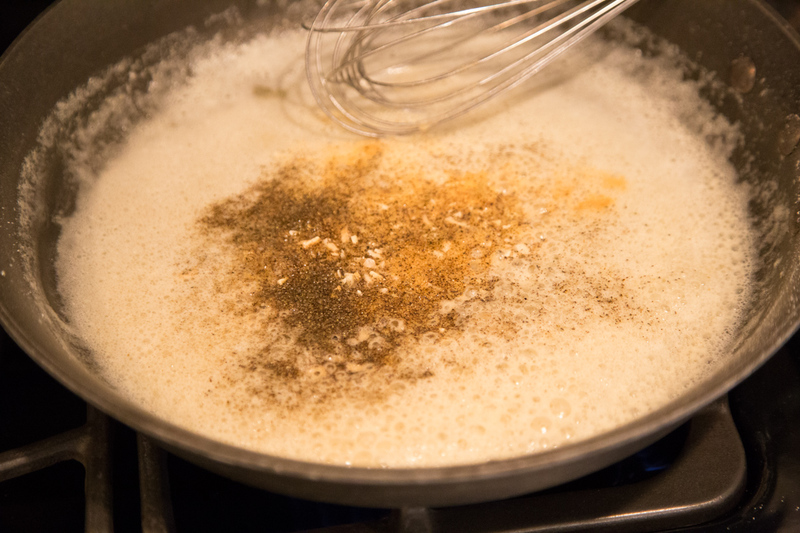 Let simmer about 5-8 minutes until begin to cook down. 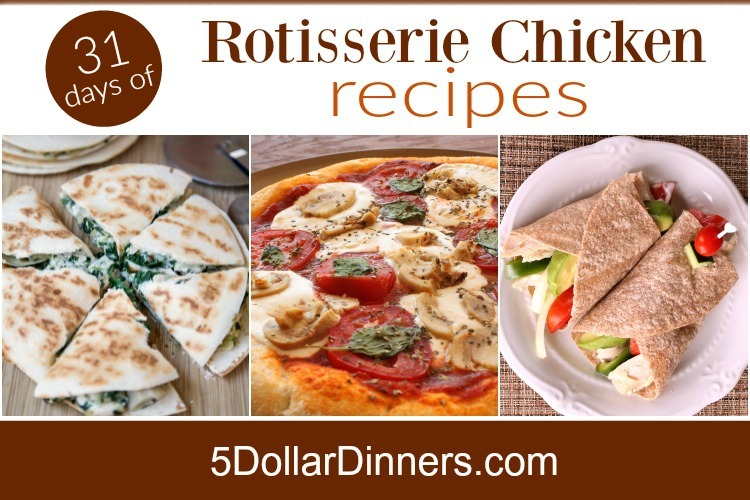 Add the rotisserie or shredded chicken. 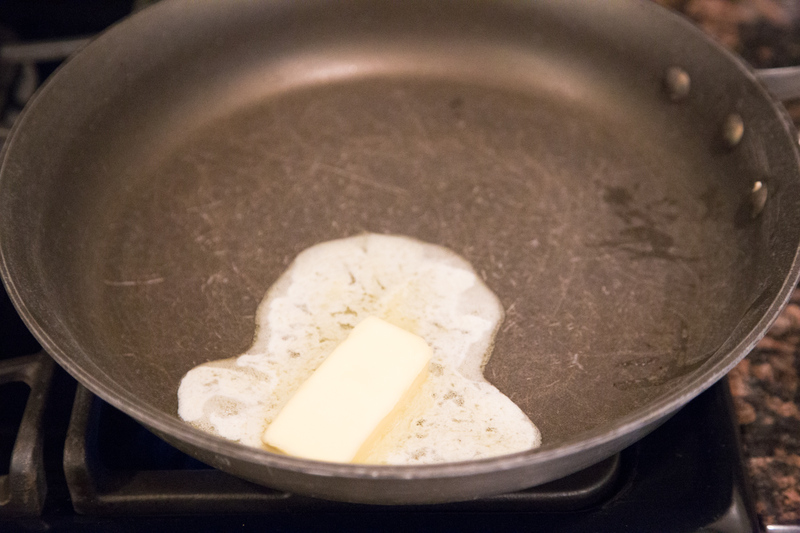 Mix it all up in the skillet. Drop in some green/parsley, if you like. And now it’s ready to serve! 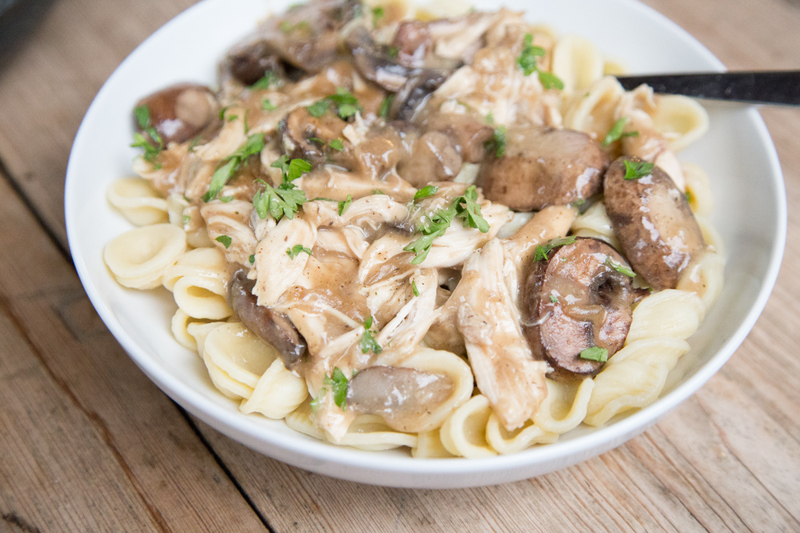 Drop over some pasta or rice. 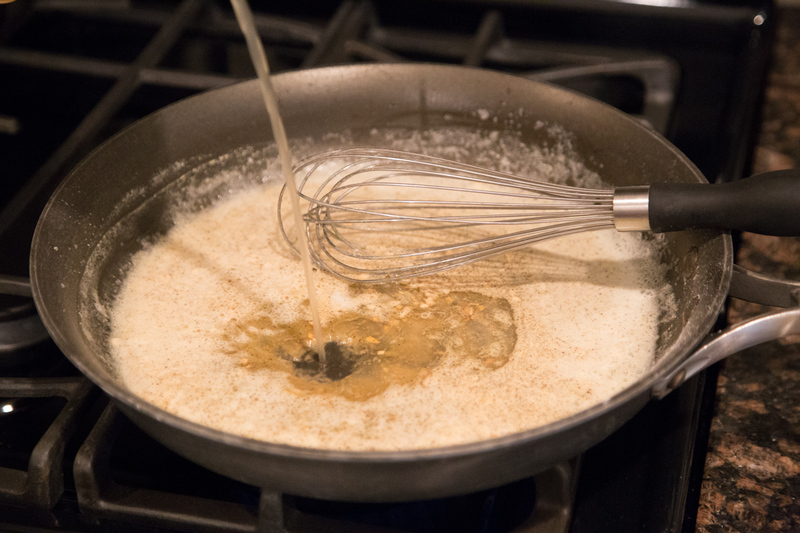 In a large skillet, melt the butter and whisk in the flour and then the garlic powder and minced onion. 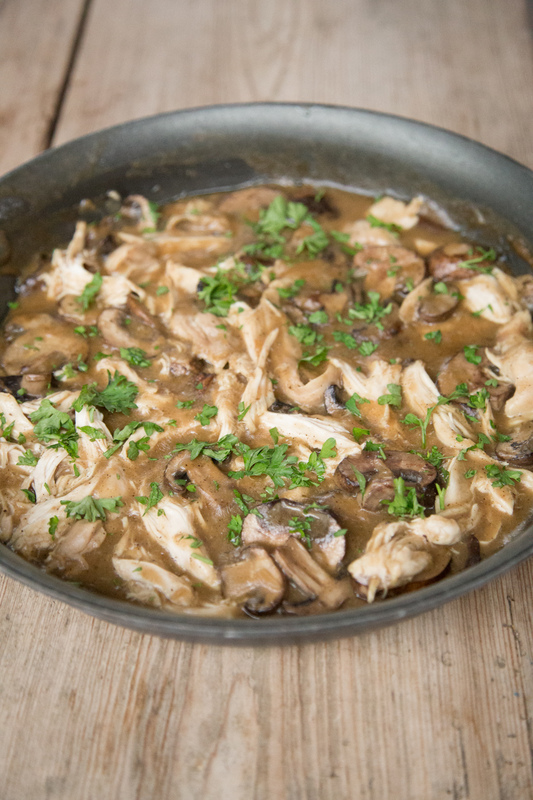 Stream in the chicken stock and marsala cooking wine and whisk quickly to prevent clumping of the liquid with the flour. 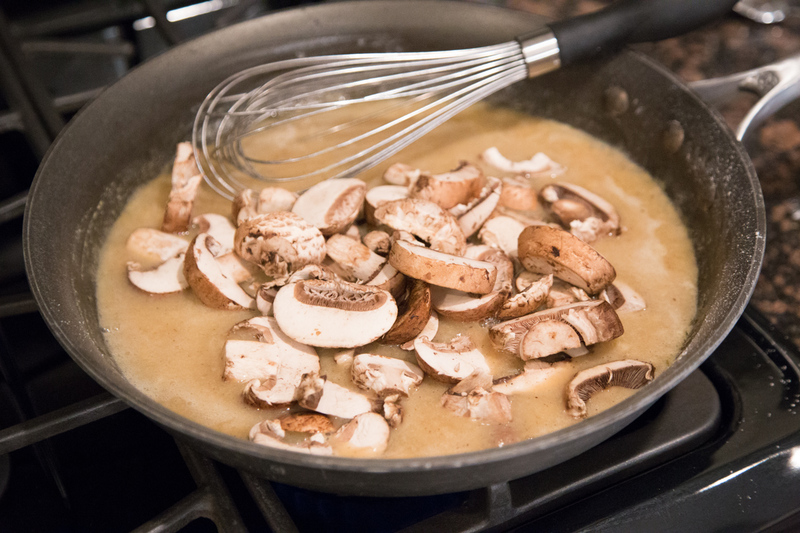 Add the sliced mushrooms and simmer for a few minutes until they reduce down in size. 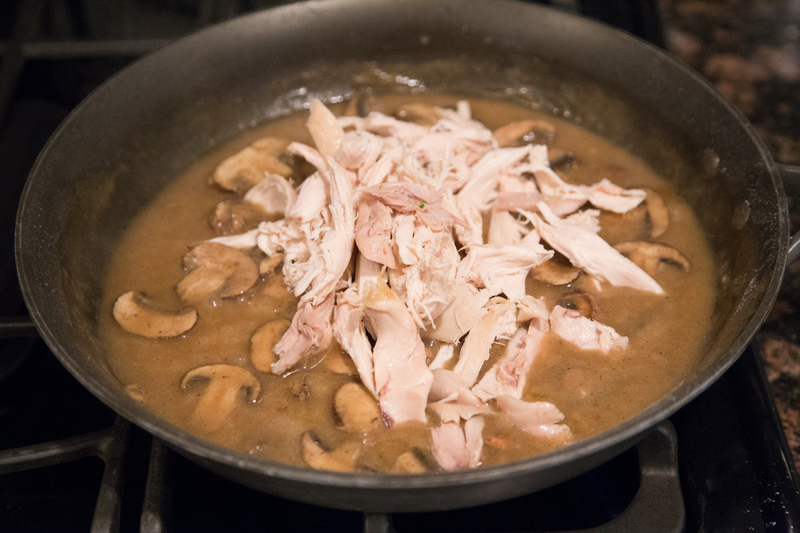 Then stir in the cooked, rotisserie chicken. 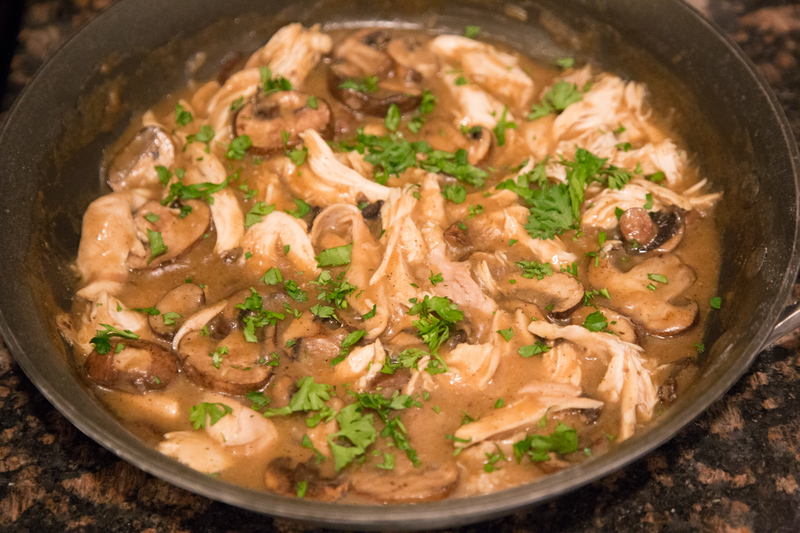 Add chopped parsley as garnish, if you like. 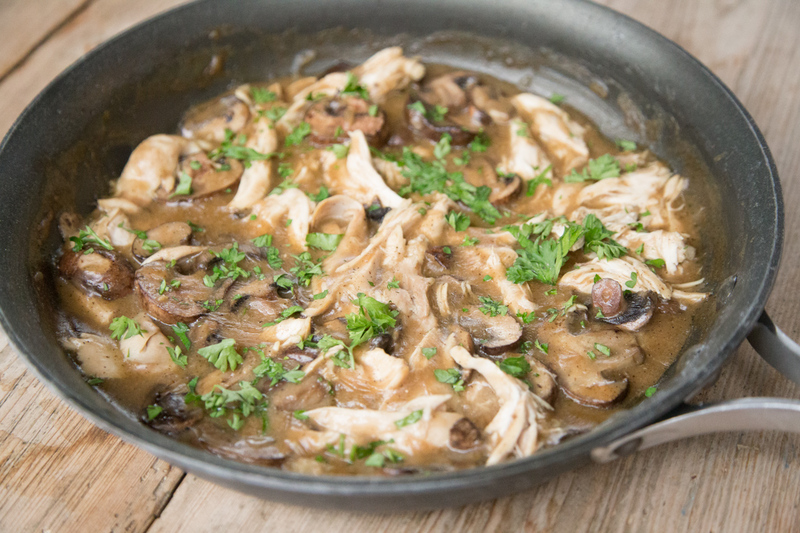 Serve Skillet Chicken Marsala with fresh veggies.